The fogey gentlemen across the pond gave us Yankees a lot to be thankful for in our style. Anything trad and its preppy offspring have very strong Anglo-Saxon roots. They gave us desert boots, trench coats, brougues, spread collars, Ralph's marketing (polo anyone?) and so on. You name it and the English were there first. The imagery of the Country Gentleman is my favorite. Stallions grazing behind decades-aged logged fencing. Rolling misty hills with plumes of smoke bellowing out of the cabin. Fox hunting with Barbours, Wellingtons, vintage William Powell 12 gauges, and your trusty lab retriever. Once you've caught and eaten your game, host your mates with glasses of Scotch in your flannel-lined library and talk about Parliament. I dunno....maybe its better to watch than to read. Since its best served on a frosty day, I associate the Country Gentleman with late Fall and Winter. Tattersall is a favorite cloth pattern for the British hunters, whom they refer it as Check pattern, and a natural cold weather brother to the warmer Gingham. Whereas Gingham conjures up picnic tables and straw hats, Tattersall suggests a rustic country feel. The namesake is based on Tattersall's, an auctioneer of race horses established in 1766 and based in London. Blankets with regularly spaced warp and weft stripes, usually in alternating colors, were placed on the horses to keep them warm and presentable. Tattersall, which may also be synonymous with Windowpane along with Check, is now widely used and enjoyed by all. Trust the Brits for their original Tattersall shirts. The button-down collar is an American style, so many of the English brands will offer spread or point collars with only a minor selection of button-downs. I like the affordable Charles Tyrwhitt, ourdoorsy Barbour, and the classic Cordings. If you must buy 'Murrican, besides the usual like Brooks and Land's End, O'Connell's in-house brand makes a pricey but quality shirt. Vineyard Vines offers many variations of Tattersalls as well, if you can get over the fratty whale logo. 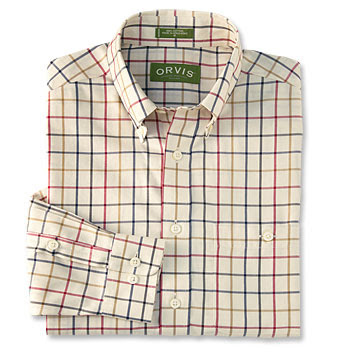 Two brands I highly recommend include Orvis, America's premier outdoorman's brand, which makes a fine Tattersall. 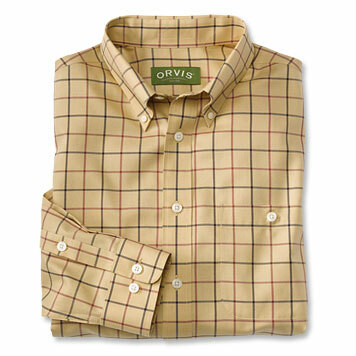 Orvis has widely-spaced box designs with alternating colors that are distinctive and beautiful. You can see me wear my Orvis Tattersall in my most recent pictorial article. Here would be my two picks from the 2011 F/W season (which were sold out online by November). The second is Viyella, which is named after the fabric blend first woven in England in the late 19th century and is known as the first branded fabric in the world. The fabric consists of 80% cotton and 20% wool, which helps keep you warm but breathable when you're duck hunting in the fields. So in essence, with its English roots and practicality, this is the Tattersall you should look for. Viyella branded shirts tend to be expensive and can be purchased at Orvis and the like, but I found mine (vintage, made in USA...why USA and not the UK? Because it was probably cheaper for outsourcing haha) on eBay for $15. Viyella has had a storied history and is now owned by upmarket English retailer Austin Reed. Whether it be from Viyella, Orvis, or Target, I recommend a Tattersall in a golden tan or yellow swatch with alternating earthy tones like burgundy, orange, and green. Imagine all of the clothing combos you can pair with the subtle lines. These Autumn colors go perfectly with the country side or an outdoor sport. Wear it as a base layer under a crewneck shetland and topped with a quilt or hunting jacket and you are set to tend to the estate. My current collection of Tattersalls. 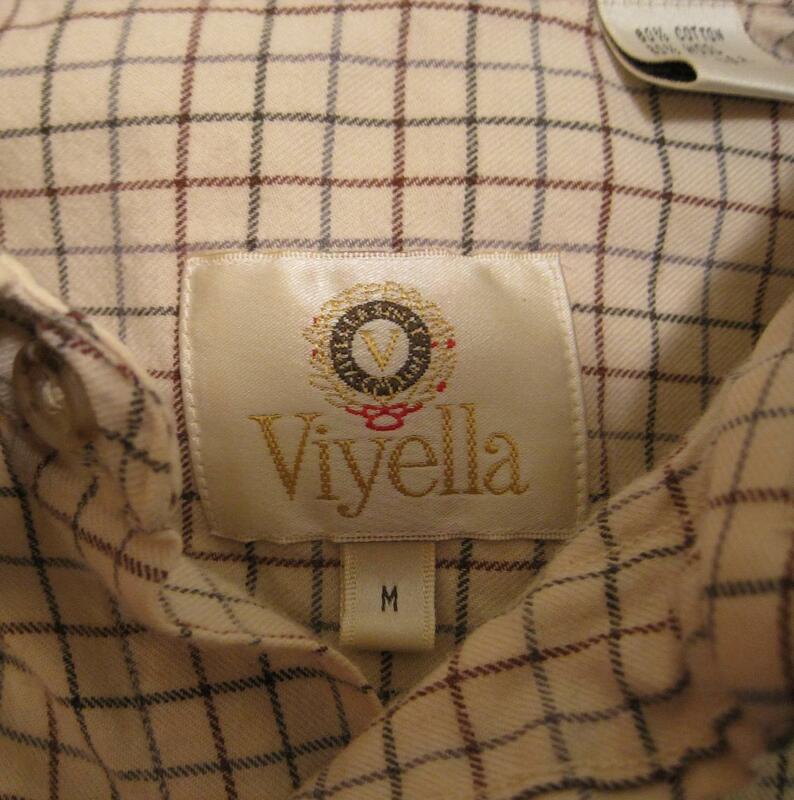 Close up of the Viyella logo. Since we're on the topic of winter fabrics, here are a few of my others. Personally I am not a huge fan of plaid, tartan, and flannel patterns because I instantly think of Al from Home Improvement. But don't let me prevent you from pulling out your inner Ted Bundy when you're chopping down firewood. I also have a vintage Pendleton flannel passed down from my grandfather. Doesn't get worn very much but it's a nice memento to simpler times. Duly noted, as I don't actually hunt, and obvious by your name you know what you are talking about!